The final moments in the rule of Muammar Gaddafi began after a convoy he was driving in was hit by a NATO strike. 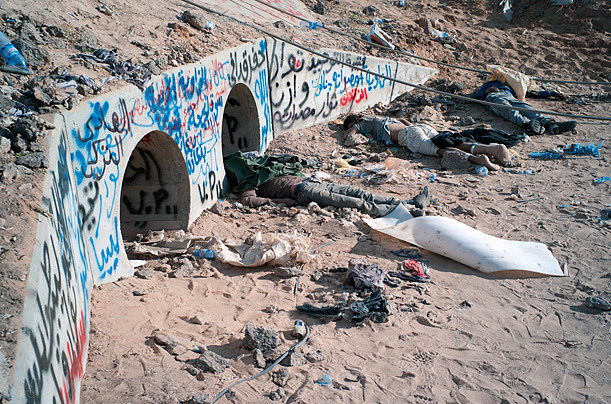 The Libyan leader was found hiding in this drainage pipe near Sirt, October 20, 2011. The body on the ground nearest is said to be one of his bodyguards.